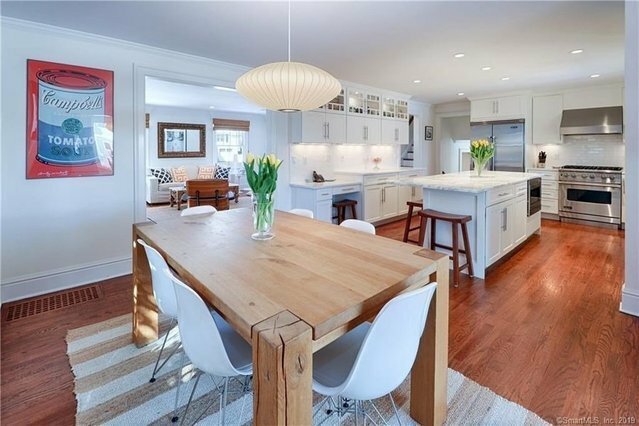 Beautifully updated, contemporary multi-level home, two blocks from the beach! Newly renovated 4 bedrooms, 2.5 baths with 4 levels of living space. Spacious kitchen with Caesarstone countertops and extra large Calacatta marble island. Large master suite with dressing room, built-ins, and Carrara double vanity. Custom millwork and hardwoods throughout. Central air, newer roof and mechanicals. Fantastic level property featuring large brick patio and pergola, bluestone walkways, and private outdoor shower. Prime beach location. Walk to beach, school, town, and train. Don't miss this! Owner/Agent.